These are the events that led up to GM’s worldwide recall of 2.6 million cars, blamed for at least 13 deaths. During pre-production testing, GM engineers experience problems with ignition switches on the Ion. At issue: A mechanism that is supposed to hold the ignition key in place. According to GM, an internal report indicates the problem was solved when the switch was redesigned. A GM service technician sees a Saturn Ion stall while it is being driven with "several other keys on the key ring." The technician writes in his report that "the additional weight of the keys had worn out the ignition switch." A GM engineer bumps the key in a Chevrolet Cobalt during testing, causing it to abruptly lose power. GM receives more reports of Chevrolet Cobalts losing power when keys are accidentally bumped or moved out of the "Run" position. Engineers propose that the head of the key be redesigned so that things hanging from the key are less likely to jostle it. That proposal is initially approved, but then cancelled. GM documents said that, among other things, the fix was too costly. Delphi, the company that makes the switch, proposes an ignition design change. A GM engineer signs off on the changes and the new part goes into production. But the part number is not changed, so most of the automaker’s employees are not aware of the fix. GM dealers hand out "key inserts" to limit the key’s movement to 474 owners of models later recalled. GM begins installing the new, redesigned switch on 2007 model year cars. During an unrelated meeting with auto safety regulators, GM employees are informed of a fatal 2005 Cobalt crash in which airbags did not deploy. By the end of the year, GM is aware of 10 deadly Cobalt accidents in which airbags failed. A GM engineer is assigned to look at Cobalt front crashes in which the airbags did not deploy, in order to identify common characteristics. In four of nine crashes, the ignition was not in "Run" at the time of impact. An official with the National Highway Traffic Safety Administration pushed to open an investigation after noticing "a pattern of reported (airbag) non-deployments" involving Chevrolet Cobalts and Saturn Ions. But the official was blocked by others in the department who didn't believe action was warranted. A new investigation is opened into front crashes of Cobalts and Pontiac G5s where airbags did not deploy. Ignition switches are removed from cars in salvage yards and tested. Engineers notice all the crashes in which the ignition was switched out of "Run" only happened in cars from the 2007 model year and earlier. GM investigators notice that ignition switches in cars built in later years are less prone to moving out of position than ignitions in earlier models. GM hires outside engineers to conduct a thorough assessment of ignition switches from cars made before and after 2007. They conclude that changes were made to the ignition switch sometime after the cars ﬁrst went into production. 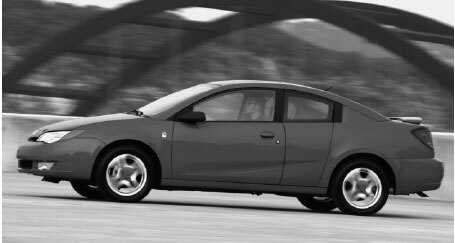 A GM committee is asked to consider a recall of Chevrolet Cobalt and Pontiac G5 cars from the 2007 model year and earlier. 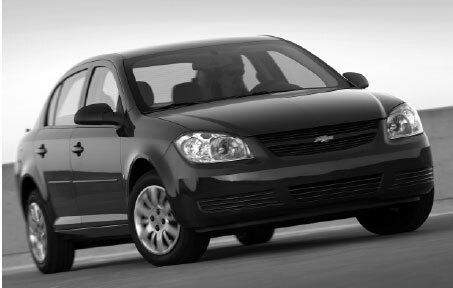 February 7: GM initiates a recall on about 800,000 Chevrolet Cobalt and Pontiac G5 vehicles. 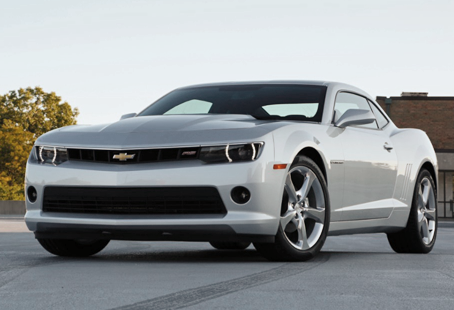 February 24: GM adds 600,000 Chevrolet HHR, Pontiac Solstice, Saturn Ion and Saturn Sky vehicles to the recall. February 27: U.S. auto safety regulator says it is investigating whether GM responded quickly enough to the ignition switch problem. March 4: GM CEO Mary Barra defends how the company is handling the much-criticized recall, but pledges to conduct an internal review. "We will hold ourselves accountable and improve our processes so our customers do not experience this again." Says repairs to recalled cars should start in early April. March 10: GM appoints two outside legal firms to assist with an internal investigation of the events leading up to this recall. March 12: The Justice Department launches a criminal investigation into why the recall was delayed, according to a source familiar with the matter. March 17: Barra issues a new statement on the automakers' handling of a flawed ignition switch, calling it a tragic situation in which "terrible things happened." Says GM will change the way it handles recalls, and that repairs "should start" the second week of April. March 28: GM expands its ignition switch recall to add 824,000 cars sold in the United States between 2008 and 2011. Barra said the switch recall now covers 2.6 million cars sold worldwide. March 28: GM confirmed that one more death had been caused by the ignition switch problem, pushing the total to 13. April 1 & 2: Barra and NHTSA acting administrator David Friedman testify before Congress. 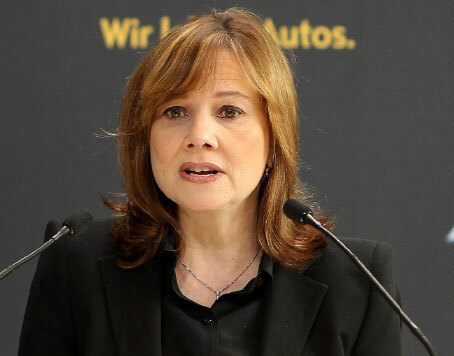 Barra says GM doesn't know why it took 10 years to issue a recall. Barra also reveals GM hired attorney Ken Feinberg, who is best known for determining how to compensate victims of tragedies including the Sept. 11 attacks, the BP oil spill and the Boston Marathon bombing. NHTSA’s Friedman contends GM didn’t provide the agency with all the information it needed. April 7: GM dealers begin making repairs on cars affected by recall. Automaker advises customers to make appointments at dealerships. Repairs are free to vehicle owners. April 10: GM finds another flaw in the ignitions of the 2.6 million vehicles it's already recalled, and announces that it will replace an additional part to remedy the problem. April 16: Two engineers are placed on paid leave as part of the recall investigation. April 22: GM restructures its engineering and quality departments, in a move the company says could have prevented its current recall crisis. May 15: GM recalls 3 million more cars, most of which were built before the automaker’s 2009 bankruptcy, for a wiring problem. May 16: General Motors agrees to pay a $35 million fine to settle a federal probe into the 10-year delay of its ignition switch recall. May 20: GM recalls another 2.4 million vehicles, including late model editions of the Buick Enclave, Chevrolet Traverse and GMC Acadia, for faulty seatbelts and transmissions. May 21: GM recalls 218,000 Chevy Aveos due to a risk of overheating and fires. May 23: Just 2% of 2.6 million GM cars have the ignition switch fix, six weeks after the automaker began making repairs. May 23: Japanese automaker Suzuki recalls 184,000 cars that GM built for it in South Korea and that Suzuki sold in the United States. June 5: GM’s internal probe into the delayed ignition switch recall finds "a pattern of incompetence and neglect" throughout the company. Barra says she has dismissed 15 employees and disciplined 5 more for their handling of the matter. The automaker also says the number of deaths tied to its flawed ignition switch may be more than the total of 13 it has disclosed publicly. June 13: GM recalls 512,000 cars, most of which are Camaros that can be accidently shut off while driving due to a faulty key. 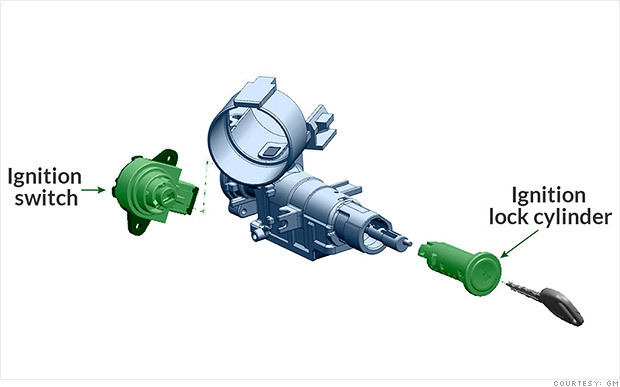 June 18: Barra testified before a House panel about the results of a company probe into the decade-long delay in recalling 2.6 million vehicles with a faulty ignition switch, and said 15 employees had been dismissed. June 30: General Motors offered at least $1 million to the families of those who died as a result of a defect in GM cars. The compensation plan, administered by Ken Feinberg, will take into account the number of dependents a victim had and their future earning potential. It will also pay people injured in crashes tied to the defect. GM said it won’t cap the compensation program, but that families that accept these funds will waive their right to sue the automaker. June 30: GM recalls another 8.4 million vehicles worldwide, mostly for faulty ignition switches. It also raised the charge it will take in the second quarter for recall-related expenses to $1.2 billion.